Earning money online can be hard if you do not have focus on just one or two things, as the hardest thing is to try, fail and try again one method that works. Everyday new methods and guides for making money online are found on forums, blogs and even Facebook, but In this case I’m going to reveal step by step a case study on how to build, rank and make money as a Amazon Affiliate. No fluff, just actual work that I’ll be doing, including how much I spent for content, various SEO strategies and how the site is ranking. I’m not going to reveal exact keywords or niche site link, but I will try to be as much open as I can. Reasons for not revealing site link and keywords are obvious as I have tracked many case studies and most of those who revealed the site has been hit by negative SEO from other jealous readers. The case study has started few days ago with niche selection and with choosing main keywords. In the next posts I will show exactly how I found niche, keywords and where I’ve bought a domain name. So follow and bookmark me. 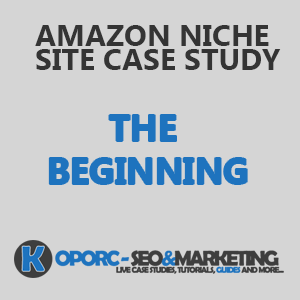 In this first post I will explain why I have chosen niche site model and why monetize it with Amazon. Amazon is the largest online retail store with millions of products that are selling and it is an ideal start for anyone that finds making money online hard. You can find so many different niches that you like or have knowledge about it you can’t even imagine before you start seriously looking into it. And because of that niche selection is not hard. 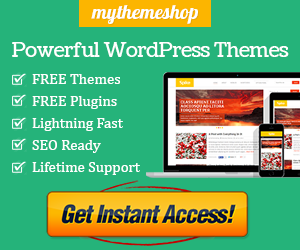 You just need to find one broad niche to start from and after that there are many different ways to find more targeted niches with easy competition. With so many products on Amazon, people are looking for the best one, and here you can help with a site about your niches products reviews, helpful information and buying guides. More about how to find targeted niches with little SEO competition in the next Niche Site Case Study post.